Ronaldinho is ready to pack up and leave Mexico after he said he’s ‘bored’ with his life in Queretaro. 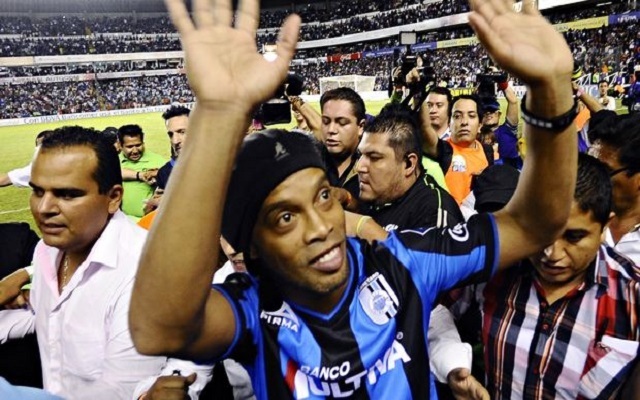 Ronaldinho has not had a good time in Mexico, as the Liga MX turn out to be a lot more demanding than what he was expecting when he signed with Queretaro last year. According to Marca the Brazilian striker has complained of not having anything to do after practice and was bored of everyday having to go to training and then straight back home. The Brazilian legend is reportedly very excited about the prospect of moving to Los Angeles to play with the Galaxy, where he expects to have more free time and a different lifestyle. It means he could end up playing next season at the same club where Liverpool legend Steven Gerrard will be plying his trade. He signed with Queretaro in September 2014 for two years, but since his debut in the Liga MX the striker has only made 23 appearances and scored only 8 goals.